Leading ambulance manufacturer, Braun Demers, has teamed with configure-price-quote (CPQ) solution provider Cincom to standardise processes across Braun Demers’s sales channels, including its dealer network, and ultimately deliver a better, easier buying experience for its customers. “Our objective is to provide our dealers with a tool that will greatly simplify their quote process with both Braun and Demers, create a better buyer experience and improve quote and product quality,” explains Alain Brunelle CEO of Braun Demers. “Dealer reps will benefit from a user-friendly tool that allows them to point-and-click to choose and select already-designed product configurations and provide quicker turnaround on quotes with more consistent and accurate pricing,” says Brunelle. Cincom will collaborate closely with an internal task force assembled by Braun Demers comprised of accounting, IT, design and engineering, and sales experts to ensure a smooth transition to its CPQ program and promote adoption of new processes around it. Some shared Braun Demers dealers will be asked to participate in Beta testing during the trial phase of design. The ambulance manufacturer has targeted Q2 of 2019 for roll-out to all dealers. Results of the program will be bench marked and measured jointly by both teams, with outcomes to be reported in 2020. By doing so, both companies hope to contribute new best-practices to the way complex manufacturers do business. 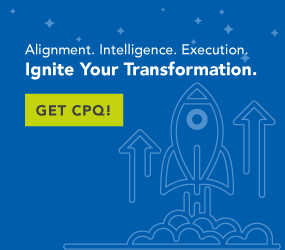 “When you launch an initiative like this with CPQ at the centre, what you’re really doing is improving alignment across your sales channels and throughout your organisation in the way it sells, builds and delivers products,” says Joseph McMahon, the Cincom Account Executive that helped broker the partnership. Cincom is a global software company with a legacy of innovation dating back to its founding in 1968. Cincom solutions help organisations improve the way they do business, from multi-channel configure-price-quote solutions for complex products and services to software improving customer communications management capabilities. In other words, Cincom builds solutions to help clients improve their most critical business processes and operating results. Visit cincom.com for more information. Recognised for leadership in innovative design, quality product, and for their over 100-years of combined rich history serving the emergency response market in over 20 countries worldwide, Demers and Braun offer ambulance models ranging from the price-conscience value ambulance to the very highly-customised speciality vehicle. To learn more about how Demers Ambulances and Braun Industries can help you save more lives, visit www.Demers-Ambulances.com and www.BraunAmbulances.com.